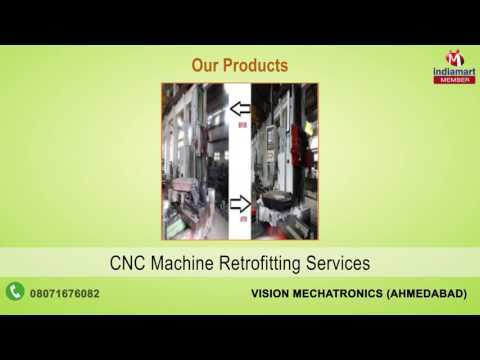 We established Vision Mechatronics as a premier manufacturer, supplier, trader and service provider of an exclusive range of Controllers and Repair Systems in the year 2010. The impeccable manufacture of our products including CNC Controller, CNC Machine Control Panel and Servo Systems has earned us a reputation of quality and functionality amongst our clients. Our dedicated efforts have ensured that we provide our clients with products that assist in easy user interfacing on a digital scale for heavy industrial machinery. Each product that we manufacture is constructed using high quality materials and high tech software programs. We ensure that each product that we provide our clients with is ascertained for quality and consistency. Our efforts remain in providing customized solutions for each clients with unique features as per their pertaining requirements. We deals in various brand like Fuji and Mitsubishi.